Lately, I have spent a bit of time revamping my blog. A new title. A new domain. A little tweaking here and there. In the end, it pretty much looks like it did to begin with. I guess I liked it just the way it was. As I went through the process of making a few small changes, I discovered that the tags that we attach at the end of our stories, magically get organized into an invisible filing system. When you hover your mouse over any of the tags, and then right click with your mouse, all stories within the same category appear. Wallah! Just like magic! I love this newly found feature. For someone as innately unorganized as myself, it is like having your very own secretary. After discovering this feature, I found myself clicking & opening different tags from all the blogs I have written over the past year or so. I was curious to see what I had unconsciously written about most. I discovered that there was a small common sub-theme sprinkled throughout most of my posts. Sometimes in a small way, sometimes big. I kept seeing it mentioned over and over again. My Mom. I paused when I noticed this. A warm, sweet feeling flooded my heart. Followed by a mixture of emotions. Happiness, love and then sadness. That feeling of void because she was not with us anymore. One day, just like that, without any notice or forewarning, she was taken from us. We used to talk on the phone several times a week. If it was in the morning, we’d sit and chat, always laughing together. Though miles apart from each other, on those mornings we’d go through a pot of coffee together. Or if it was in the afternoon or evening, wine. She always mentioned my blog. Commenting on what she liked about a certain post. About what made her laugh. Or cry. If too much time went by between posts, she’d ask when I was going to write next. She said the first thing she did each morning was look to see if there was an email notifying her of a ‘New Blog post from Margber’ – She said it would make her day if there was a new post. That she got excited and looked forward each day to reading my blog – but was let down if there was nothing new. I never really knew if that was true or if it was just a tall tale to her daughter – a way of conveying a mother’s love. I tossed around the idea of making a tribute post to her for her birthday. It was two days ago. She would have turned 79. I wanted to honor her in some small way. But the words never came. So I let the moment pass, silently honoring her special day. Missing her so incredibly much. Offering up a vow to give anything for one more cup of coffee together and long, drawn out phone conversation. It had been so long since I had heard her voice. After the bittersweet feelings of this discovery started to subside, I thought about her with a smile in my heart. It made sense to me that her name was peppered throughout my writing and continues to be. She was a major influence of mine in regards to following my muse. Thank You, Mom! She was such a positive role model in my life. Recently, more-so than ever, I’ve noticed that I am becoming more like her each day. Oh, I know my kids and hubby have kidded me about this for years, but it was not until the past few months that I truly became aware of just how much I AM my Mother. Not so much in little ways anymore, but in big, wonderful ways. I embrace this fact each time I catch myself doing something or saying something that she would have said. My actions so often mirror actions of hers that are branded on my heart. Years ago this would have made me cringe. Today? It secretly pleases me. I think of it as God’s way of keeping our loved ones spirit alive and present in our everyday Lives. Thank You, God! My mom’s passing still seems so surreal to me. In a way, I think it always will. Mainly because she still feels so present in my life – through my actions & in my words and through my writing. Stumbling upon those tags and their path that led me back to my mom, was a cherished gift. Re-reading some of my posts about her was like stumbling upon a treasure of gold. Thank You. Im so glad I was able to finally find the words. Me, too…….They were a blessing to me as well as you. 🙂 Thank you again. Thank You, Patti. She was an amazing person and those memories are such a gift. I Love that you know this. Yes! Faith is such a powerful gift. I miss conversations with my mother in exactly the way you have described. Long, laughing, insightful talks! Yes, most of the time! Sometimes I call my daughters to have a laugh with them, so as you say… it goes on. Awww, I miss my Mom so much too. This honors her so. I am touched. I know you do, Nora. She must have been a very special lady to have such a wonderful daughter. She’d be so proud of you. That was a beautiful tribute and a lovely post. I’m sure your mother would be pleased. She may be gone but apparently not that far removed from you, finding her intertwined within your tags. 😉 Peace to you. Thank you. That is such a lovely thing to say. It feels very true. Thank You. Thank You so much. Yes, a positive and grateful heart is the key to life. Just beautiful, and I for one know that your mom brought “joy” to you and all who ever met her! Thank You. She seems to be on my mind 24/7. She ends up in every post I make. I think she always will. Thank You. the trail led me to a discovery that was not really so surprising. My mom is so much a part of me. I am valentine by name am from Nigeria but now, i am in malaysia workingas a labourer, please if you can help me get work in canada i will be contdtee.. Thanks you and God bless you..
A wonderful tribute to your Mom. Margaret, I know she would have loved it. Like you, I miss those phone chats and letters from my Mom. You’re very welcome! I seem to discover some new feature of WP every week. This one was a great one! I have lost a lot of people in my life and I believe your words to be absolutely true. A mother/child bond is special. Such a beautiful post – I’m almost crying!!! Awww, I did not want to make you cry, but Thank You! You just brought tears to my eyes!! I’m sorry you miss your Mom…and I’m happy that you embrace the part of her that is you….beautiful! I am away from my Mom…she’s 86 and I am away for the summer. She just had to start taking prescription drugs and she is a little overwhelmed by it. I set my phone alarm to go off at 9:00 am & pm….and 4:30…the times she has to take her pills. She’s got it now and when it went off at 9:00 this morning I thought “She doesn’t need me to call…she’s got it”…but then I thought…is there any harm calling her three times a day just to say hello, I miss you…? That is so sweet that you help her out like that. The tables turn fast. We blink our eyes and all of a sudden we are the caregivers. Keep on calling her! You will never regret it. AWww, Thank You, Merryn! I will, indeed, participate. summer is a bit hectic for me but I will post the badge as a reminder to make a post about it. Thank you SO much for thinking about me! It means an awful lot. Thank You! Margaret, wow what a beautiful post and such awesome writing. I think your Mom not only was being your Mom, but she saw the value you have in your talented writing. “My actions so often mirror actions of hers that are branded on my heart.” I love this, it speaks so much to how I feel about my awesome Dad. You go through those times where people say you are just like your Dad, or you are just like your Mom, but what is so cool is when you get older and see the positive stuff that came from them you are content with being like them. It goes from being an insult to a compliment which in reality is what it was meant to be. I still have both of my parents, my Mom is 81, my Dad is 85, so my time with them is getting shorter, like you I try and spend a lot of time with them. Some people do not understand the gift our parents are to us and when they reflect back, all they see is regret. I am going to send a copy of this to a friend who recently lost her Dad, I think it would be a very good read for her. Just awesome!!! Wow, thank you so much. I was recently telling a good friend of mine that the wonderful thing about blogging is that we all so often write about something that tends to be a common theme to all of our lives. We all relate to one another on so many levels. Especially the ones that count. Thank you for this thoughtful comment! Hey Peggy–just got a chance to read this. I think about what you told me when you left WW–to spend time with your mom. Little did you know…. So yesterday when my 84 year old petite mom said she had to get on the train in OP and needed help geting the conductor to lower the platform and was worried she would miss the train (@6:55am) if she couldn’t–I remembered your words and said to her, “Ill be there to help, Mom”. And I was. I’m not a morning person but seeing her face at 6:34am when I walked up to the station, was worth hearing that alarm at 6:00; honestly I wasn’t tired then or when I finally went to bed at 12:30am (I’m a night owl usually). There will be plenty of time to sleep. She’s 84 and life moves quickly. A year without my dad has shown me that. Oh, I’m going on a bus trip to Ravinia with her this Thursday. You’d think I gave her a Golden key when I said we’d go (George going too!). But I remember your words, Peggy. Thanks for this beautiful post, Collette. Not many people knew/know that one of the major reasons why I had quit my job in December was to spend more time with my Mom. She died 2 months later – unexpectedly. A tragedy that Im still trying to deal with. I am SO glad you are spending time with your mom. Cherish those days. You’ll never, ever regret it. You’re right, life does move quickly. Hi Margaret. I found your blog because you read my recent post. Thanks! 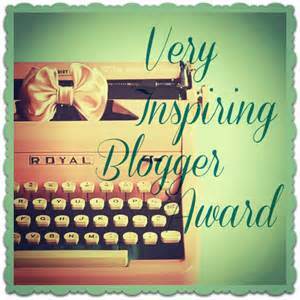 I have a reflective and personal style of writing too and reading your posts and seeing the success of your blog gave me hope to continue on this path. I think your blog will not only help to fill a void in your empty nest – but will also be a smashing success!! Ahuro, nic, co udÄ›lÃ¡ TopolÃ¡nek, nemÅ¯Å¾e bÃ½t nikdy povaÅ¾ovÃ¡no za ÃºspÄ›ch. To je dogma, ze kterÃ©ho musÃ­me vychÃ¡zet a ke kterÃ©mu musÃ­me ohnout veÅ¡kerÃ© znÃ¡mÃ© sktuoÄnesti. Plyn pÅ™ece vÅ¯bec nemÄ›l pÅ™estat tÃ©ct, takÅ¾e je jen TopolÃ¡nkova vina, Å¾e jeho dodÃ¡vky RusovÃ© pozastavili a dÅ¯vod k jeho rezignaci, jak nÃ¡s uÄÃ­ inÅ¾enÃ½r Paroubek.A Å¾e trvÃ¡ plynu 36 hodin, neÅ¾ se dostane z Ruska pÅ™es Ukrajinu k nÃ¡m? Taky TopolÃ¡nkova vina a jasnÃ½ dÅ¯kaz neschopnosti jeho vlÃ¡dy! A wonderful tribute! I am honored that you shared a piece of your mom! 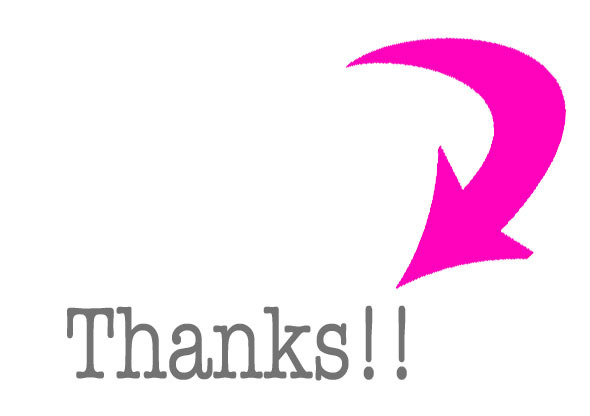 Thanks for stopping by my blog, mast musings, I am glad I had a chance to stop by yours! Peace!